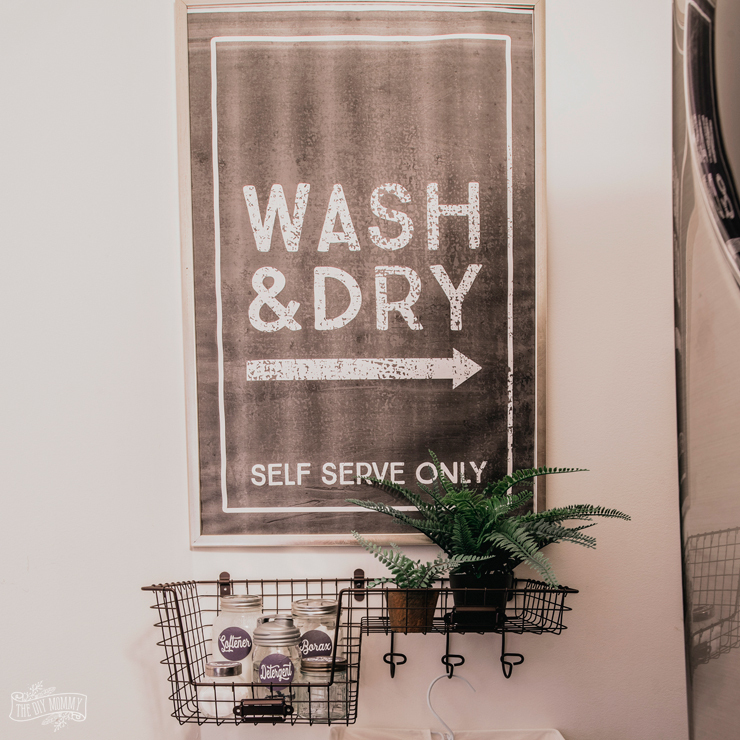 Vintage Industrial Laundry Room Sign | Gigantic, Free Printable! 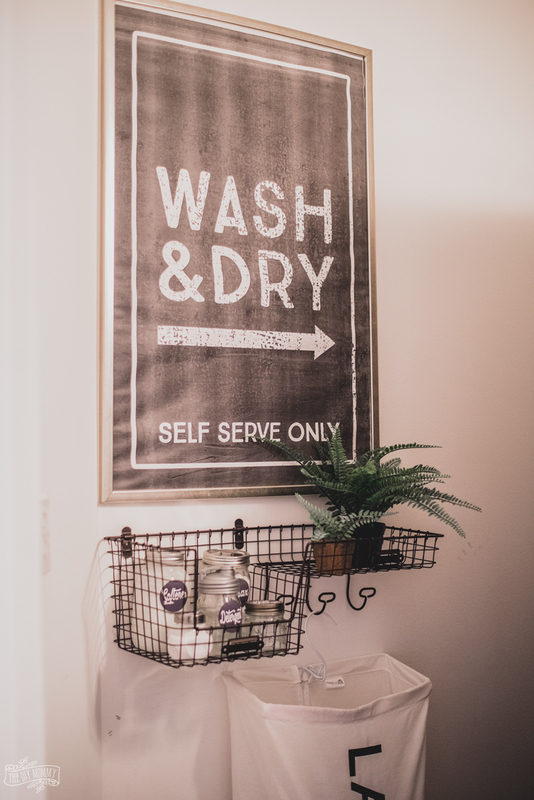 Download this vintage industrial inspired laundry room sign for free, and learn how to get it printed in a large format for only a few dollars! 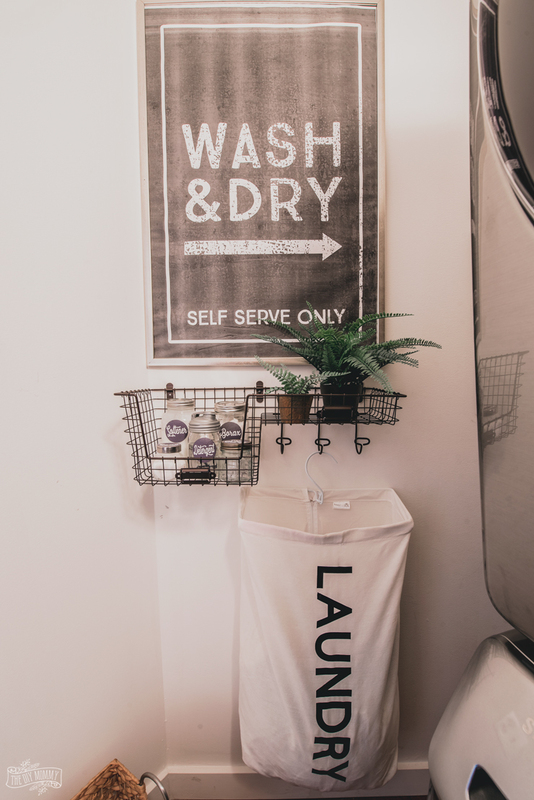 I’ve just helped my sister & brother-in-law give their tiny laundry room an industrial styled makeover (see the whole thing here), and one of the most fun parts of this mini renovation was this “Wash & Dry” oversized vintage industrial sign. I designed the sign in Photoshop, and then printed it for only $3 CDN! How? I sent it to my local Staples and had it printed in black & white as an “Engineering Print” which is a 24″ x 36″ grayscale print on plain paper. This is a great hack if you want some oversized black & white art on a budget. I’ve also seen people print large black & white photos this way and frame them to make a big impact in their space! 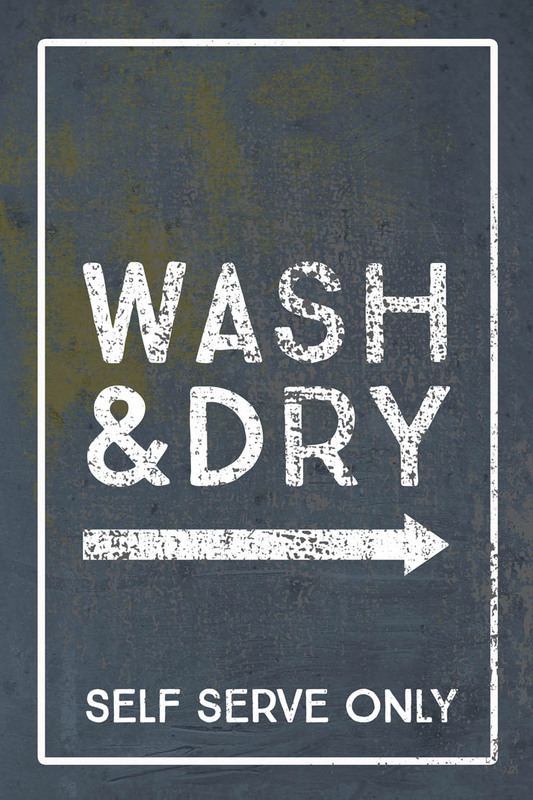 You can click on the image below to open up a large, 24 x 36″ JPG version of my free laundry room sign printable. Then, save it to your computer and have it printed as an Engineering Print in black & white. This image is the full colour version, so you can spend some extra money if you wish and print it as a full colour poster to get the deeper and the rusty tones of the image. This free file is available to you for personal use only and is Copyright 2018 The DIY Mommy. Thank you! I put my print in a large frame I found at Michaels and hung it over a wire shelf to complete this modern industrial laundry room makeover. Want to learn more about the other elements of this makeover? Click here! Love your laundry room sign!